The Tarpon Acoustic Tagging Project is a collaborative, five-year program designed to broaden our understanding of tarpon movement and habitat uses. The results will help shape future conservation measures, including the protection of critical habitats and improvements to fishing regulations. The project is generously sponsored by Maverick Boat Group. Is the tarpon population large and robust or small and vulnerable? If anglers in a particular location are fishing for the same fish every year, then the tarpon population is probably smaller than we think, and issues like shark predation will become a bigger concern. If fish move among regions every year, and anglers are fishing for different fish each year, the tarpon population is probably relatively large. 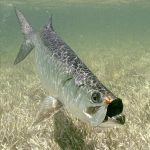 Do tarpon gather in the same areas for spawning each year or move among areas? On average, ocean currents will carry the larvae from a spawning site to juvenile habitats in a specific geographic region. If it’s the same adults at the spawning site every year, then local adult losses will cause local declines in juveniles. If tarpon move among spawning sites, then the population will be more resilient. 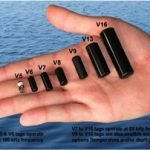 Until the Tarpon Acoustic Tagging Project began, there was little information available to answer these questions. Satellite tagging provided spatial and temporal data that was limited to tarpon weighing 80 pounds and larger. After a few months, most satellite tags detached from the fish, making it difficult to study their movements over the important multi-year time frame. Acoustic telemetry has helped to combat these limitations. Acoustic tags provide the ability to track tarpon for five years. They are also small enough that they are being used on tarpon as small as 5 and as large as 200 pounds! Acoustic telemetry has helped to broaden the scope of tarpon research. When deployed, a tag is surgically implanted in the fish’s abdomen before safe release. The tagged fish swims within range of an underwater receiver, which detects and stores the tag’s unique code. BTT and collaborators have approximately 100 receivers deployed, but we are also able to take advantage of the network of receivers being used by collaborators studying everything from redfish to sawfish. This vast network exceeds 4,000 receivers deployed from Chesapeake Bay to the Gulf of Mexico. As scientists detect tagged fish on their receiver networks they share data with other scientists, effectively expanding the study area. Sponsor a Tarpon: Sponsor an acoustic tag for $3,000. You can name your tarpon and will receive a certificate with its name and initial capture info (general location and measurements). Sponsors will receive access to a password protected site where they can see periodic updates of their tarpon’s movements. Sponsor a Receiver: Sponsor and name an acoustic receiver (listening station) for $3,000. Sponsors will receive periodic reports summarizing the tarpon detections it has recorded. 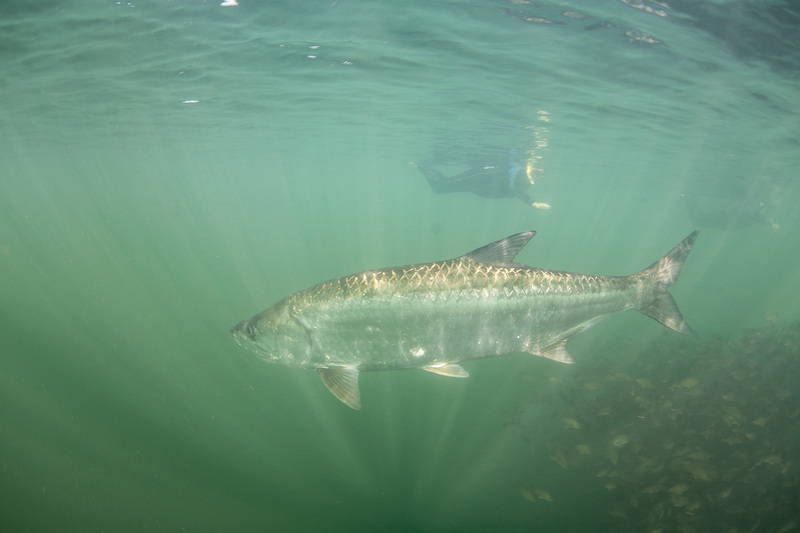 Help us tag tarpon: Prior to every tagging trip, our team of scientists will notify sponsors about when and where they will be working, along with contact information. If you are fishing in that area on tagging dates, all you need to do is call us when you catch a tarpon. We’ll come to your boat, transfer the tarpon to our sling, and take implant a transmitter. Remember to always keep the tarpon in the water!